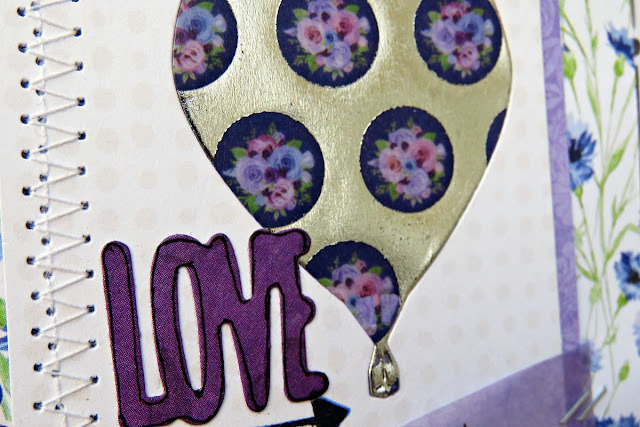 This month I get to play with the gorgeous new release Vellum paper, it has some beautifully foiled pieces along with gorgeous coloured images. 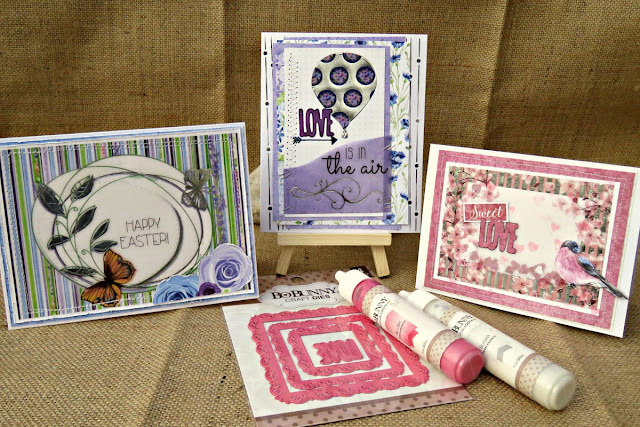 For my cards this time I have used the Vellum sheet that coordinates with the Secret Garden Collection. 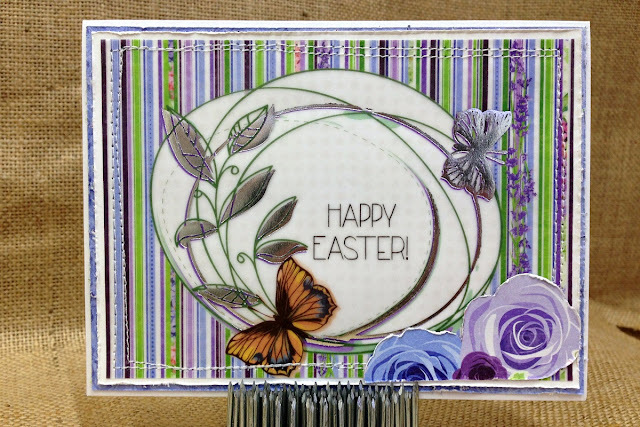 I have used the Vellum sheet in 3 different ways, for my first card I have simply layered the Happy Easter cut apart piece and stitched it over some of the patterned paper from the same collection. I incorporated some of the new dies releases in my next card using an inlaid die cut technique that I found on Pinterest. I started by cutting my rectangle of patterned paper to the size I required, I then used the small balloon die from the Fly Away set and die cut my patterned paper. Next I used the same cutting die and cut the balloon from the Vellum paper sheet, finally I secured it into the negative space of course it fits perfectly. 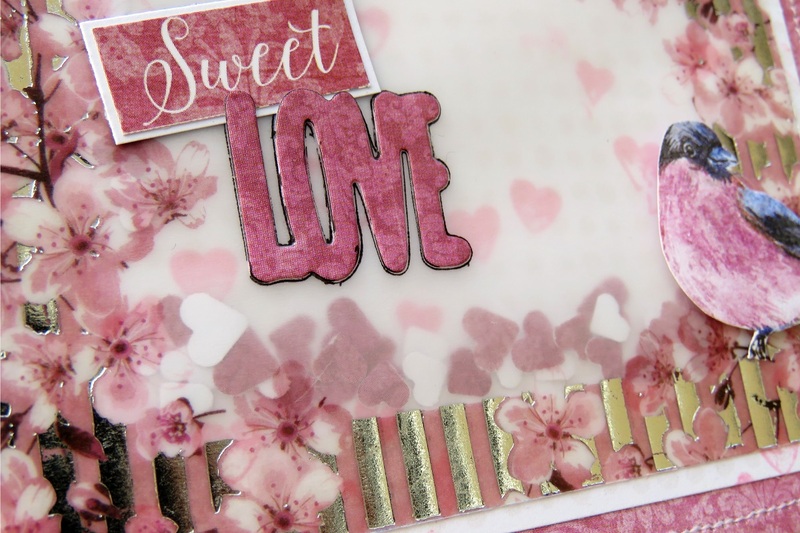 For my final card I created a shaker card, I used a piece of neutral coloured paper and stamped on it with the I Heart Stars set I added some punched hearts and adhered another of the cut apart pieces over the top. I used the Love word that comes in the Squared Dies set, I know I will be using this small die many times in my projects as it is just so versatile. 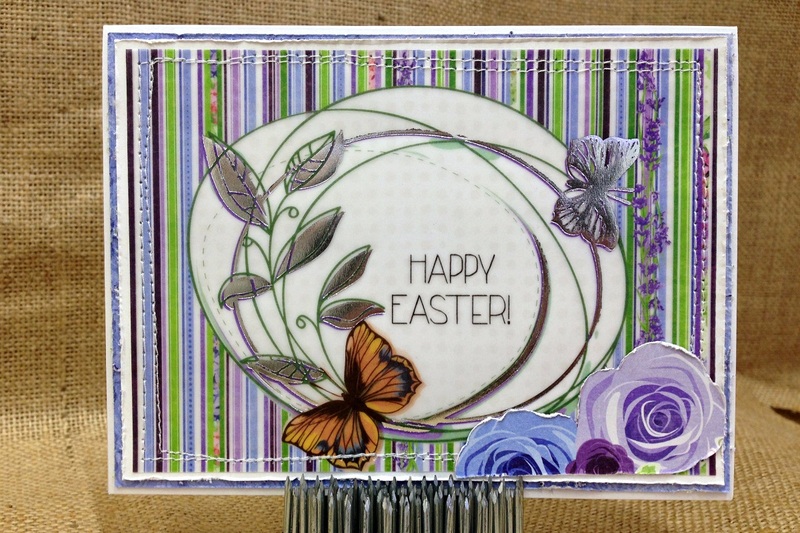 I fussy cut one of the birds from the Bloom sheet and sat him to the right of my card. He looks right at home sat there. There are all kinds of possibilities with just one sheet of paper and I will be back later in the month to share a mixed media layout that I created.